South west dairy farmers are choosing EnviroBed this winter as the most cost effective cubicle bedding – and it’s as much about EnviroBed’s reputation for controlling the spread of mastitis as it is about providing cow comfort. 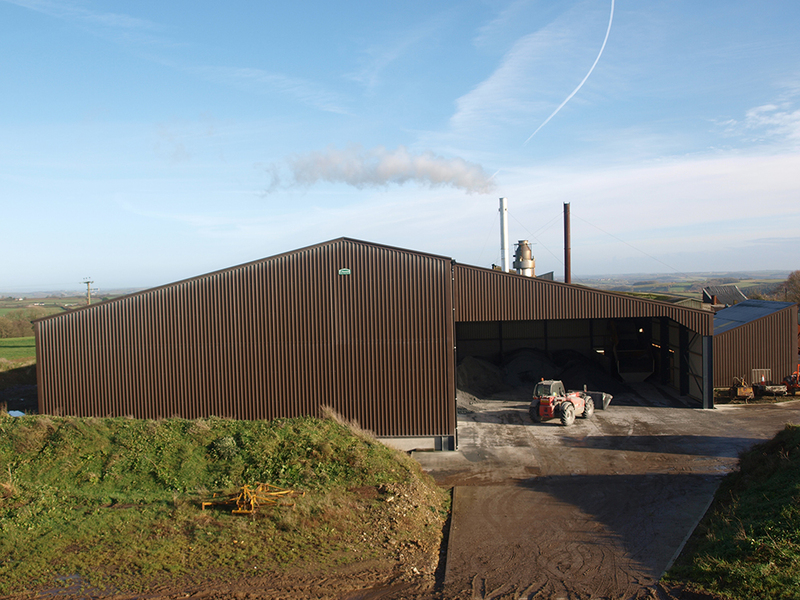 With the newly opened EnviroBed drying plant now running at full-tilt at Aylescott, south west dairy farmers have a regional source of supply of high quality winter bedding that continues to win new customers seeking the most cost effective way of providing a healthy and comfortable environment for cows. “Cows spend 14 hours a day lying down so as well as the benefits of making sure they are as comfortable as possible it makes sense to create cubicle beds that are going to be as inert as possible and help prevent any build-up of bugs from leaking milk that can lead to mastitis,” says Kim Lockyer, south west sales manager for EnviroBed. She believes more farmers are now recognising the importance of being able to manage their cubicle beds as part of mastitis control. Ensuring cows are lying on a bedding of consistently high quality material that creates a cubicle bed that can be managed to achieve the most cost effective way of providing a comfortable and healthy environment for cows, is an integral part of good herd management. If a cow is uncomfortable in her cubicle, the bedding provides an environment in which mastitis bugs can thrive and if there are risks of swollen hocks or teat damage then the bedding is failing to do its job and is ultimately draining even more cash out of the business. “More south west farmers are switching to EnviroBed which is ten times more absorbent than straw and five times more than sawdust. And with its pH of 7.4 it creates an environment on the cubicle bed that reduces the risk and the cost implications of mastitis and high cell counts,” says Kim Lockyer. “I was first introduced to EnviroBed on a Cheese producer’s dairy in Somerset some years ago and have been a keen advocate of it’s attributes ever since.” says Nick Kay of Wiltshire. Nick says “There are of course, as we all know, many different factors that contribute to the good performance of a dairy herd. Not the least of these is the necessity to have clean and dry cows as the basis for a lower incidence of mastitis and thus lower cell counts in the milking herd.” “Unlike some bedding materials, EnviroBed is remarkably absorbent . It also requires a relatively low input of labour too. I bed up my mattress cubicles twice a week with my JCB and dispenser leaving sufficient reservoir of bedding at the front of each bed to draw back fresh at each milking. This provides for a consistent volume of bedding on a day by day basis. I can’t speak highly enough of EnviroBed on behalf of my dairy cows.” says Nick Kay, Salterton farm, Wiltshire.